To request a Spanish translation of your ballot when voting by mail, please contact the elections office at 760-878-0224. Para solicitar una traduccion en Espanol de su boleta al votar por correo, favor de communicarse con la oficina de Elecciones al 760-878-0224. To vote for a candidate, completely fill in the oval next to your choice. To vote on any measure, completely fill in the oval next to the word Yes or the word No. If you make a mistake, you can request a replacement ballot by contacting the elections office. After you have finished voting, complete the information on return envelope. This includes your physical address (not a PO Box) and signature. Deliver your ballot in person before Election Day. 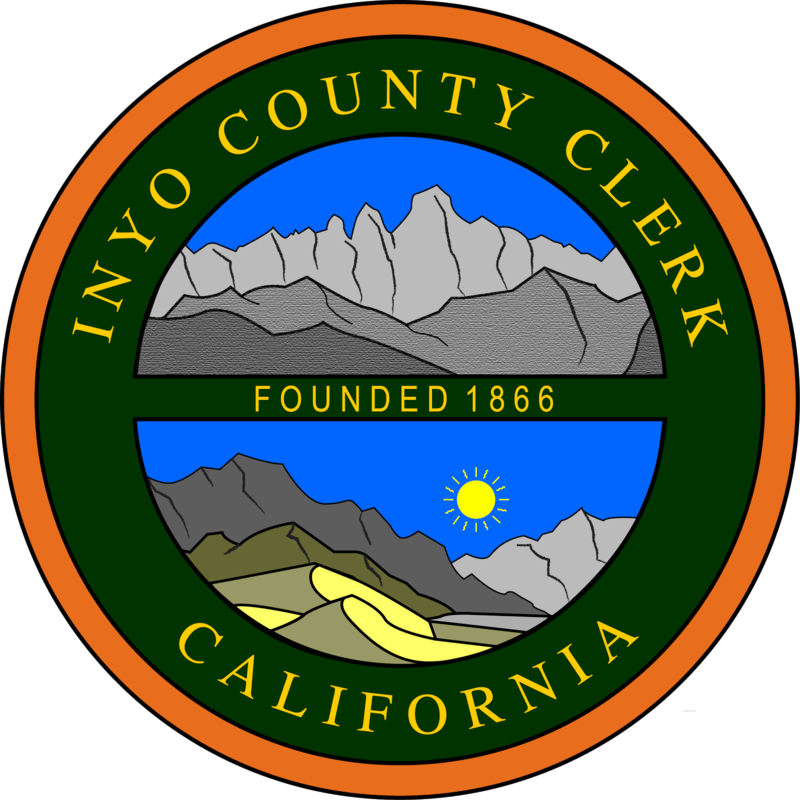 Drop your ballot at any polling place in Inyo County on Election Day. You, or any person you have authorized, can take your ballot to any polling place in Inyo County. Important! In order for your ballot to be counted, it MUST be SIGNED and either postmarked on or before Election Day or delivered in person to an election official by 8:00 pm on Election Day.